When we talk about the Indian Independence Movement, the first name that comes in mind is “Mahatma Gandhi”. Mahatma Gandhi (Full name: Mohandas Karamchand Gandhi) was an Indian activist who was the leader of the Indian independence movement against British rule. Many kids want to draw Mahatma Gandhi pencil drawings on his birthday which falls on 2nd October. It is simple and easy to draw Mahatma Gandhi pencil drawings by following our tutorial. In India, People call him “Bapu”. Furthermore, he is unofficially known as the Father of the Nation. Every year we celebrate Mahatma Gandhi’s Birthday on 2nd October. In India, this day is called as Gandhi Jayanti a national holiday. 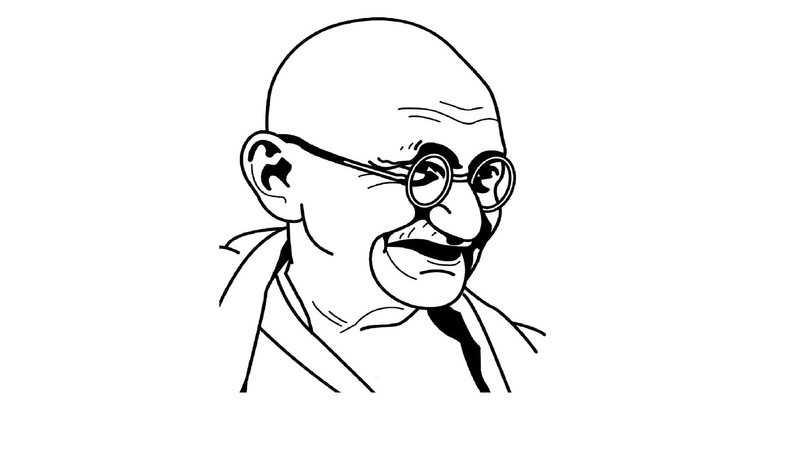 However, in schools students enjoy this day by making Mahatma Gandhi pencil drawings, portraits, and sketches. Moreover, worldwide people celebrate this day as International Day of Nonviolence. He has given the world a message of non-violence as “अहिंसा परमो धर्म”. * He was also the leader of Non-Violent Tax Revolt In Kheda and got successful too. On several patriotic occasions, students/children draw Mahatma Gandhi sketches. Especially every year on 2nd October, the teacher assigns Mahatma Gandhi’s Sketch making projects, to students. If you are a beginner and want to complete Mahatma Gandhi pencil drawing easily then you are at right place. The video prepared by our team will definitely help you in knowing the easy and simple method to draw Mahatma Gandhi Sketch. All you need to do is to hit on the below-given links. We hope this article will prove to be helpful for you. If you wish to share your views with us then please feel free to mention them in the comment box. I hope above Mahatma Gandhi Drawing Videos will help you.